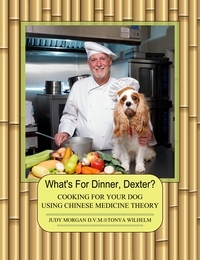 Sometimes we all can use a little help in the relaxation department. Whether you are trying to help your dog’s anxiety, calm a rowdy puppy, or get a good’s night sleep, this smoothie might fit the bill. 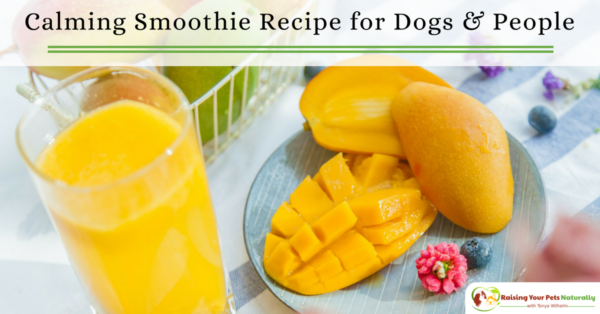 The fruits, vegetables, and herbs in this healthy dog smoothie were chosen for their calming ability. But don’t worry, nobody is going to be knocked out or sedated, just a little less tense. 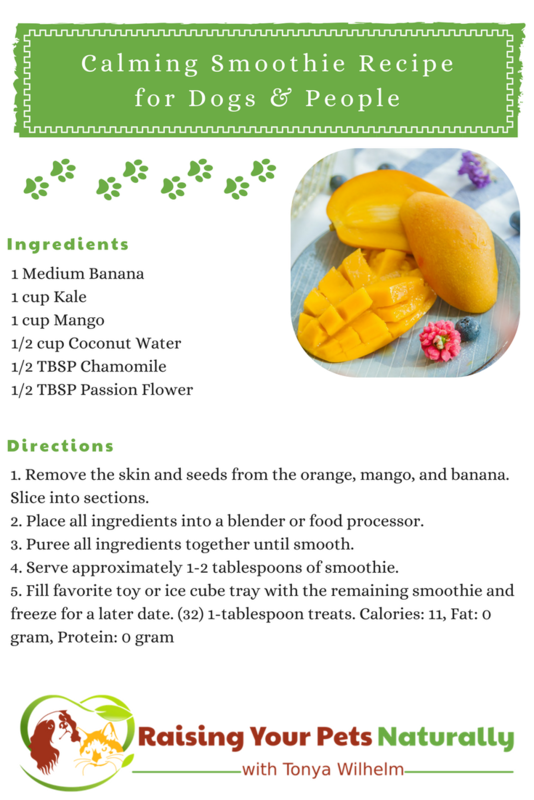 Remove the skin and seeds from the orange, mango, and banana. Slice into sections. 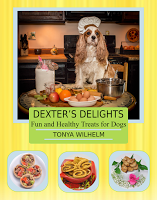 Do you make healthy treats for your pets? Tell me in the comments.